Pour the Progresso™ soup and the chopped tomatoes into a small saucepan. Heat to medium high, until warmed through. Transfer to a bowl and chill for about an hour, until cooled. Garnish with a pinch of salt and pepper, the fresh basil leaves and a drizzle of olive oil. Talk about easiest soup ever. 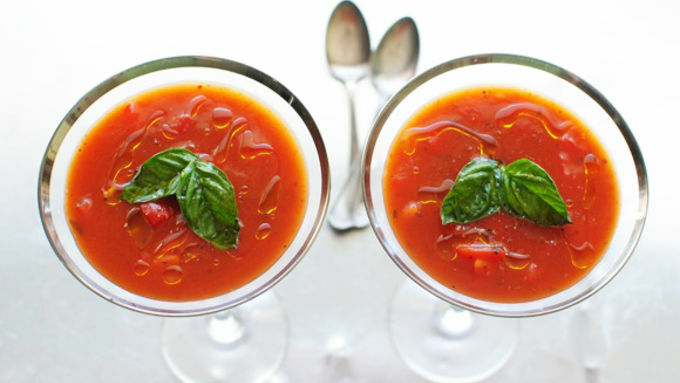 I'm not normally one to like gazpacho, because it's like, hi, just give me salsa. And a bag of chips. And a bottle of wine. And some major alone time. But this, this Cheater's Gazpacho is a little different. The tomato basil-ness in the Progresso soup already has so much punch, you don't even need much else. I threw in some cherry toms from the garden, just for some FRAYSHNESS (mom, that's freshness), and some basil, so I could happy cry. But other than that, ain't nerthrin to it! 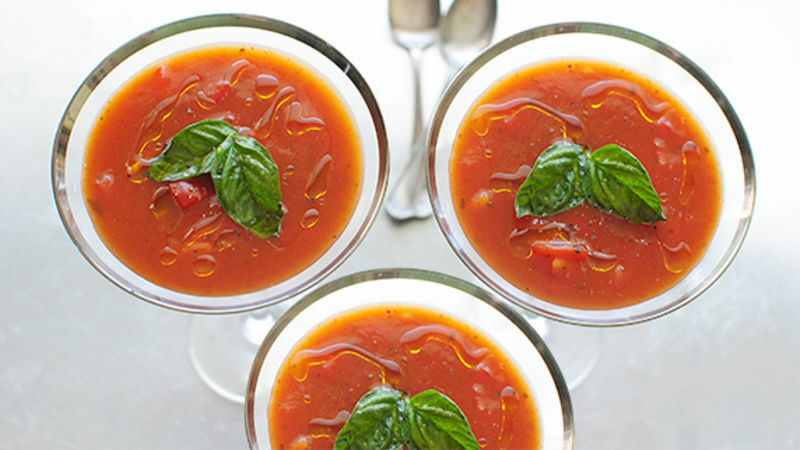 Grab a can of Progresso Tomato Basil soup starter, some cherry tomatoes, basil, and a little bit of olive oil. Give your maters a good dice. But you don't have to call them maters. What you'll do first is heat it up in a small saucepan. SAFETY FIRST, KIDS. And then just transfer the soup to bowl and chill for, eh, 30 minutes? Just long enough to cool it. Garnish it with fresh basil and a nice drizzle of olive oil and you're set! You don't have to be obnoxious like me and serve it in a martini glass. But you know you want to. 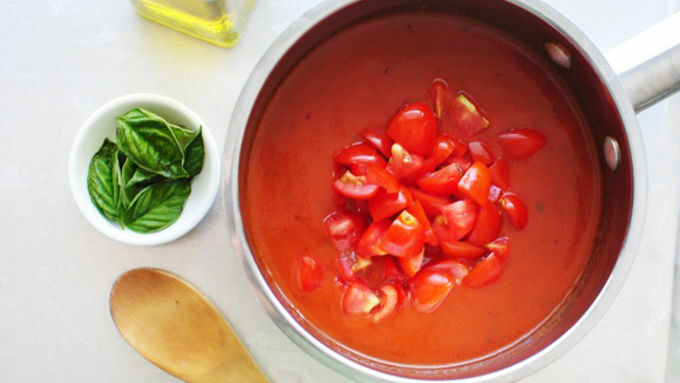 Gazpacho your poncho! . . . I give up.